Wow. This is an intense, difficult, and powerful story. It is narrated by Jesse, a 19-year-old suffering from severe depression and recovering from a recent suicide attempt. Especially at the beginning, Jesse’s voice is choppy, awkward, and difficult to warm to. He feels uncomfortably, horribly real. Having lived with someone suffering from a similar depressive disorder, there were moments that I found this too difficult and I wanted to walk away from Jesse’s awkward honesty. But I kept reading. Because this is a beautifully written story. The author manipulates language exquisitely, crafting characters that feel incredibly real. As Jesse repairs relationships and attempts new ones, we see Jesse grow stronger, but we also see and hear his internal struggles. Ultimately, this is a romance between the depressive boy with a love of words and the geeky boy with a stutter who loves Dr. Who. The tentative, stilted relationship between Jesse and Adam is wonderfully tender. This is a new adult story, but neither Adam nor Jesse feels young. Beyond his insecurities, the prospective primary school teacher does have an innate sense of joy that calms Jesse, muting some of his inner turmoil. There isn’t an easy happily ever after in this story. But this isn’t an easy book. It is, however, an honest, insightful, and beautifully written story. I look forward to reading more from this author. BRYAN ELLIS grew up in New York and graduated from SUNY New Paltz with his BA in English because all he ever wanted to be was a writer. When he isn’t watching horror films, he creates stories inside his head and performs them with Legos, something he’s done since birth. Bryan loves horror films, often found quoting them and forcing his friends and family to watch them. As an openly gay male, he feels it is important to give a voice to people who are normally silent. When he isn’t writing, he spends his free time with his boyfriend, Alex Maccaro. 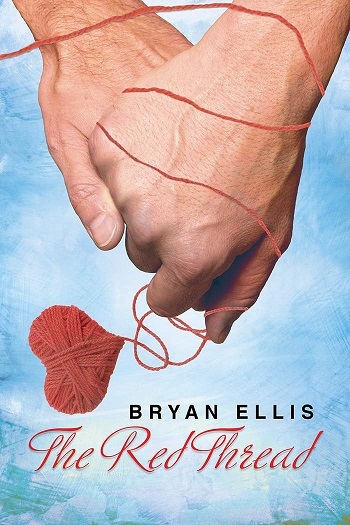 Reviewers on the Wicked Reads Review Team were provided a free copy of The Red Thread by Bryan Ellis to read and review.